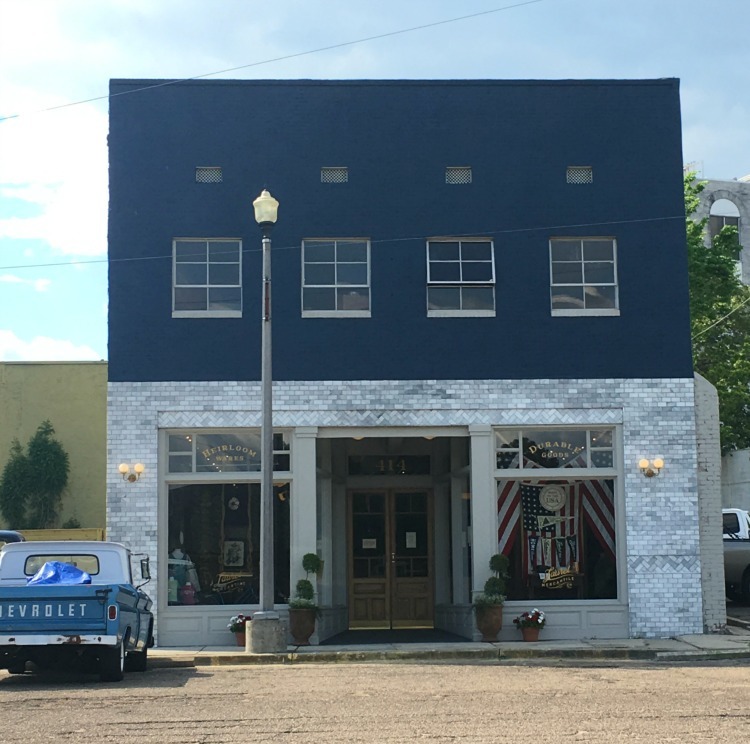 Our first full day of travel of #roadtrip2017 was a visit to Laurel, Mississippi home of Home Town. And of course it’s Erin & Ben Napier’s home town. You will recognize them from the latest hit show on HGTV. Small town America being restored, one house at a time. Hope you follow along and enjoy all the pictures. 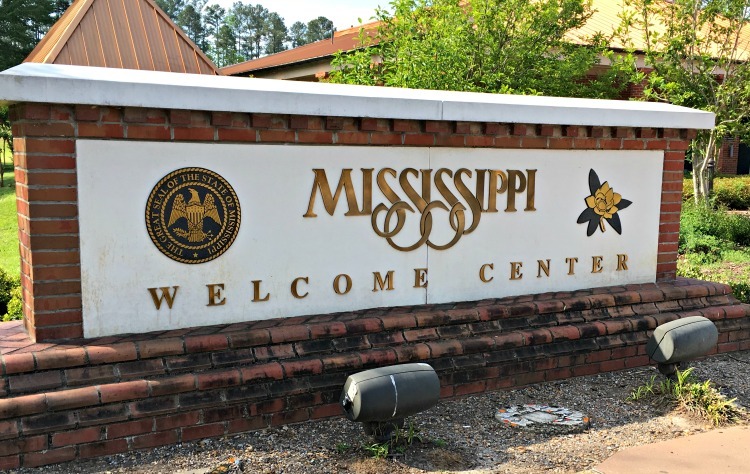 But before we made it to Laurel, we stopped at the Mississippi Welcome Center. It’s usually one of those things which is good for a time to switch drivers and pick up any information about the state and a photo op. Immediately upon entering this rest area, you are welcomed with Southern Charm. 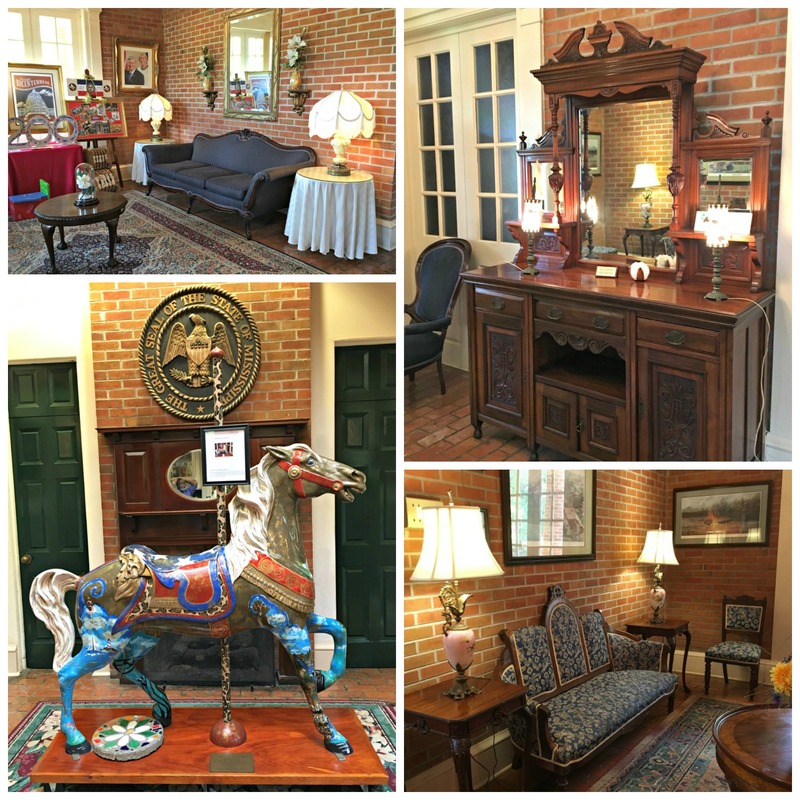 The decor was as if you stepped into a parlor of an antebellum home not the ordinary welcome center. You just wanted to sit a spell and have a glass of sweet tea, but no time for that. 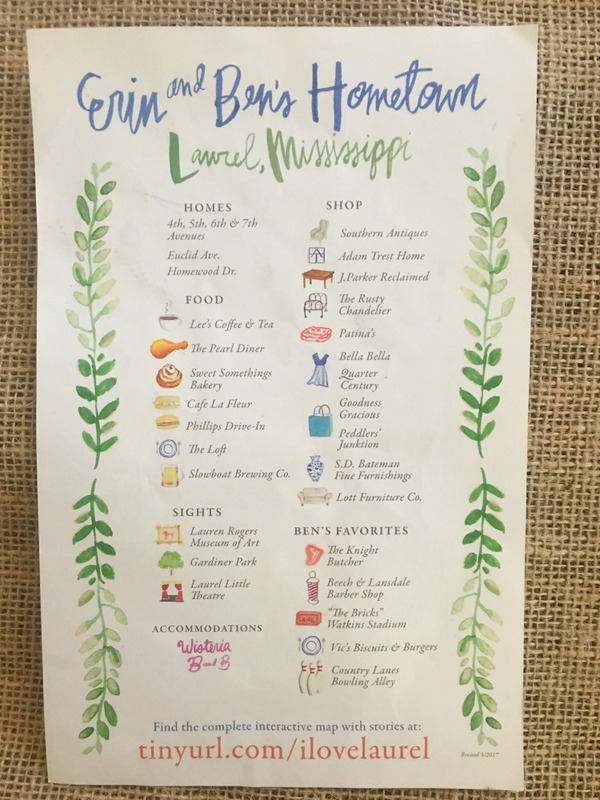 A stop at Laurel Mercantile, which the Napiers are part owners, you will find lots of items which have been featured on Home Town, but also many home items. 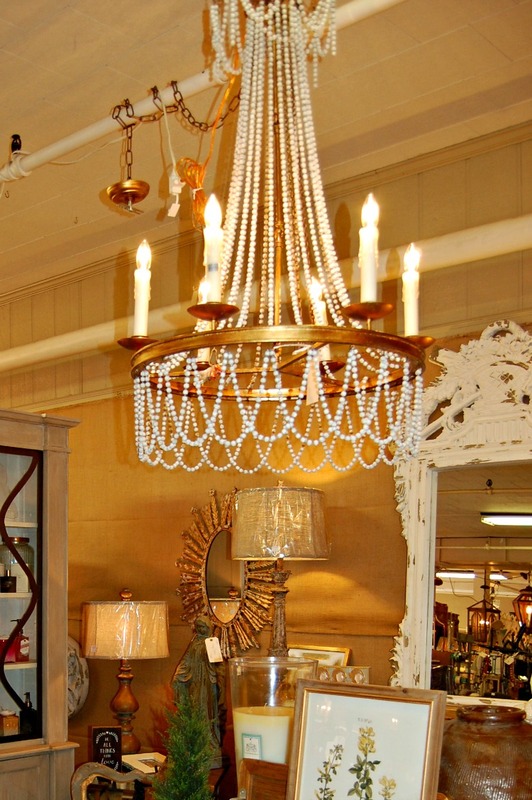 There may be anything from antique silver forks, to American made reproductions. 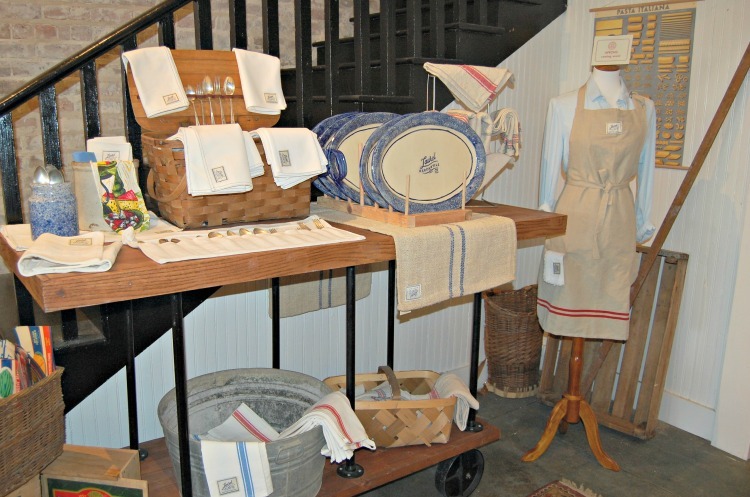 They are expanding items with their own designs or labels such as table ware or aprons. 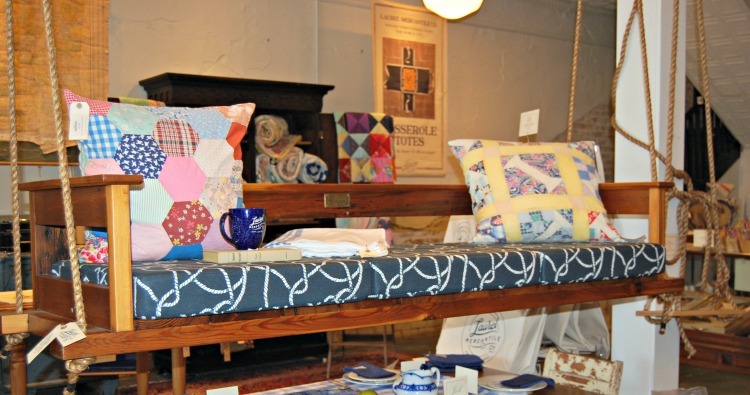 Ben is a true craftsman and has added his own line of items from Scotsman Trade Co.
Do you remember this porch swing/bed from a recent episode? 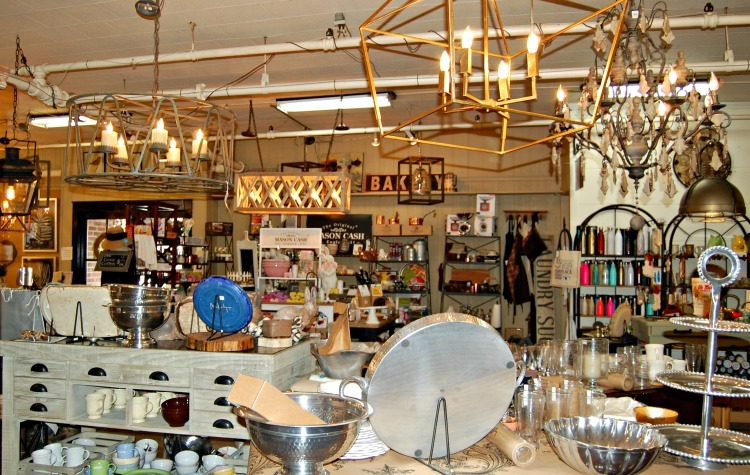 One thing I love about any store is getting ideas for decorating. 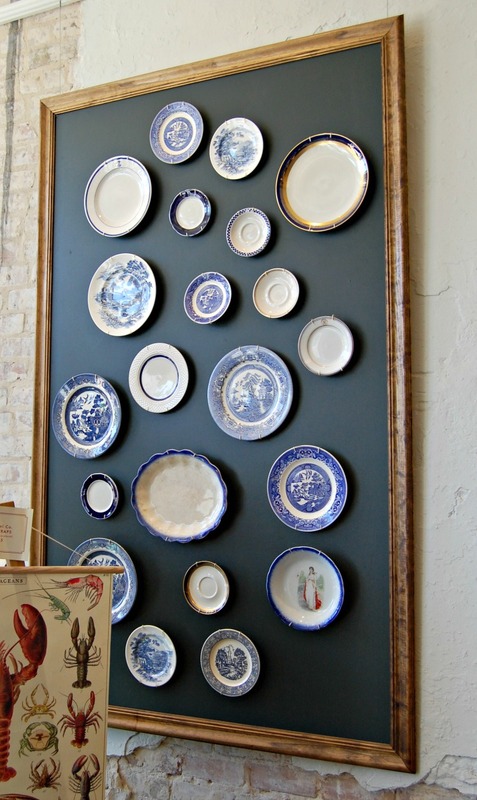 How about this collection of plates on a chalkboard? 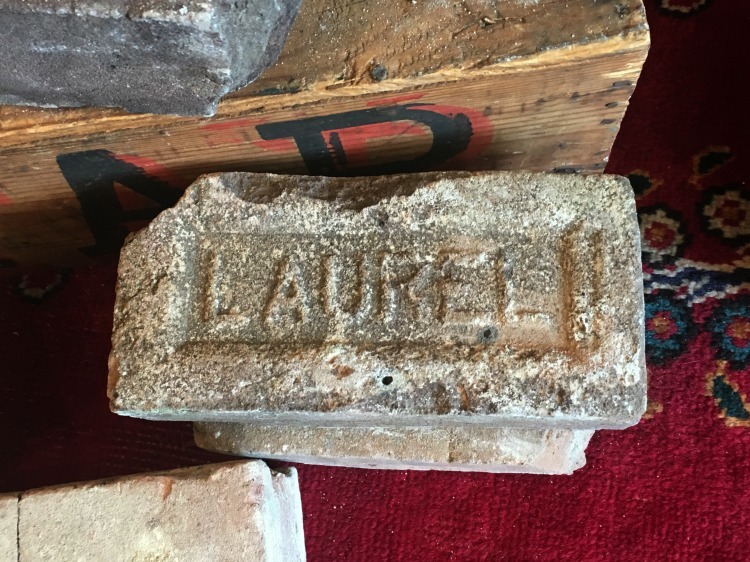 But you also find items paying homage to Laurel such as these antique bricks. 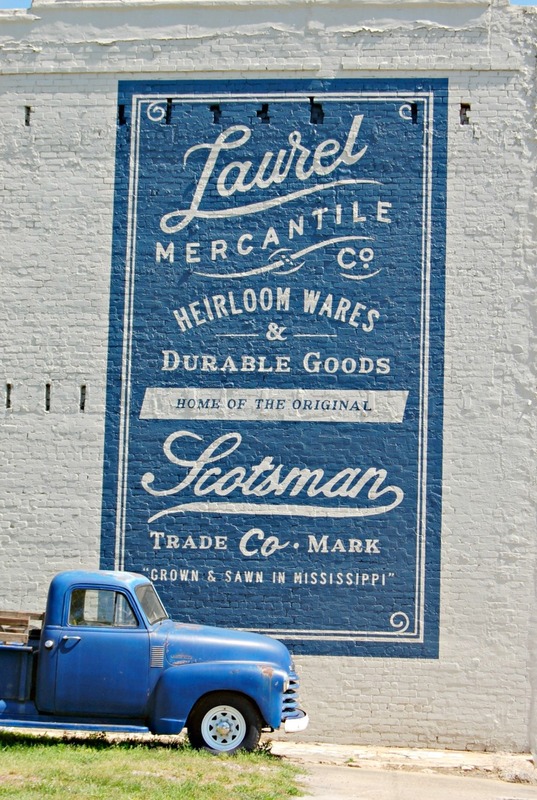 After visiting Laurel Mercantile, we were ready for lunch. We did ask for suggestions but I had already checked out their list of favorites around town online. 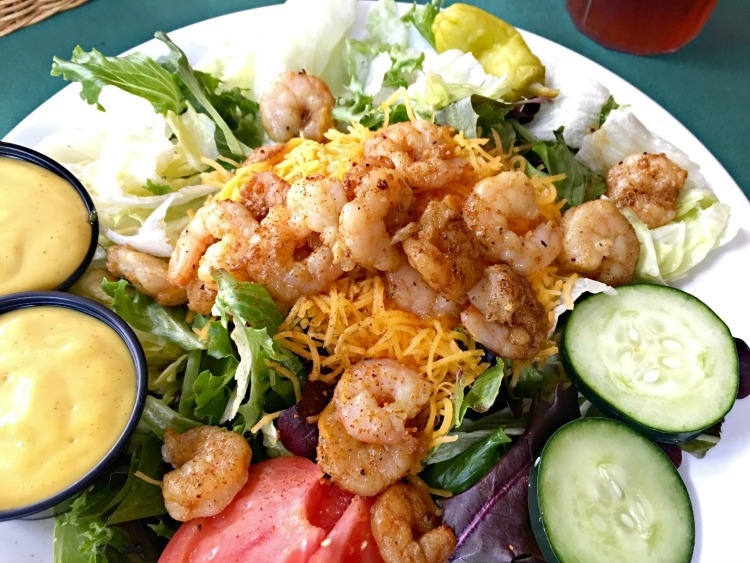 This includes sites, restaurants and shopping venues. They have a list available also if you didn’t know this before arriving in town. 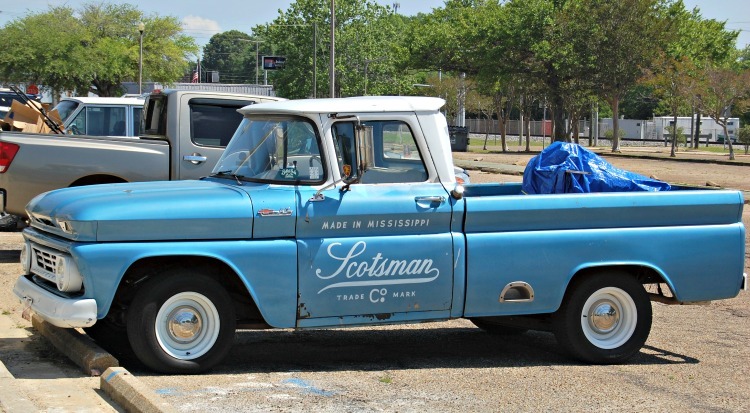 If you have watched the show, you will recognize this truck. 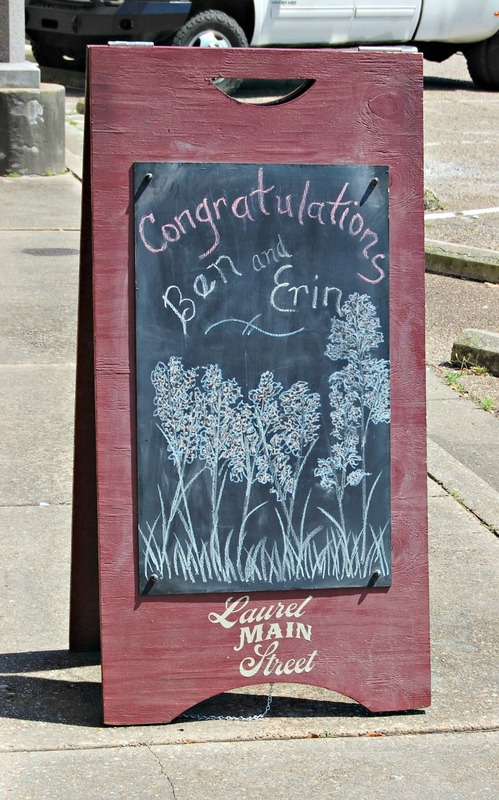 Erin and Ben were not in town (I later saw on Instagram they were at the beach). While walking through Laurel, you saw a lot of signs of typical small towns. 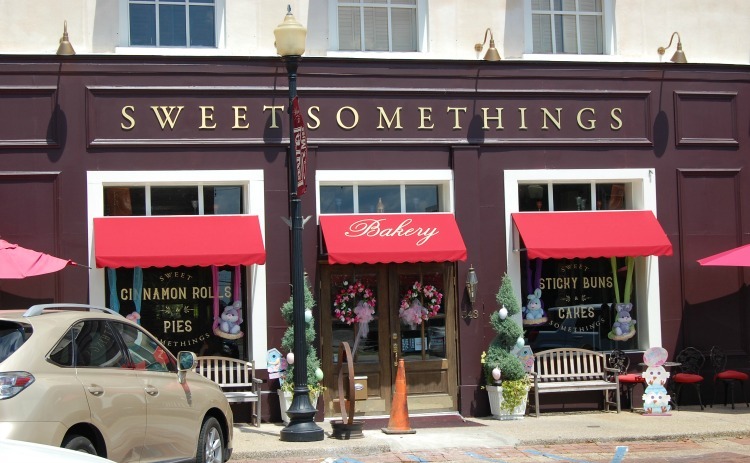 Lots of pretty store fronts, friendly people, and welcome signs. But, you also saw what is happening to small towns all over. Stores being abandoned and some even left to be run down. I’m not saying this in a negative way. I grew up in a small town, very small town. There was a lot of encouraging signs around town for the show and the Napiers. As progress around local areas is made, there’s also casualties of this progress and many times it’s the small towns. They can get bypassed by roads or a large big box store or mall is built, taking shopping away from the downtown area. This is the case in Laurel, but you also see so many local businesses flourishing and coming back to life. 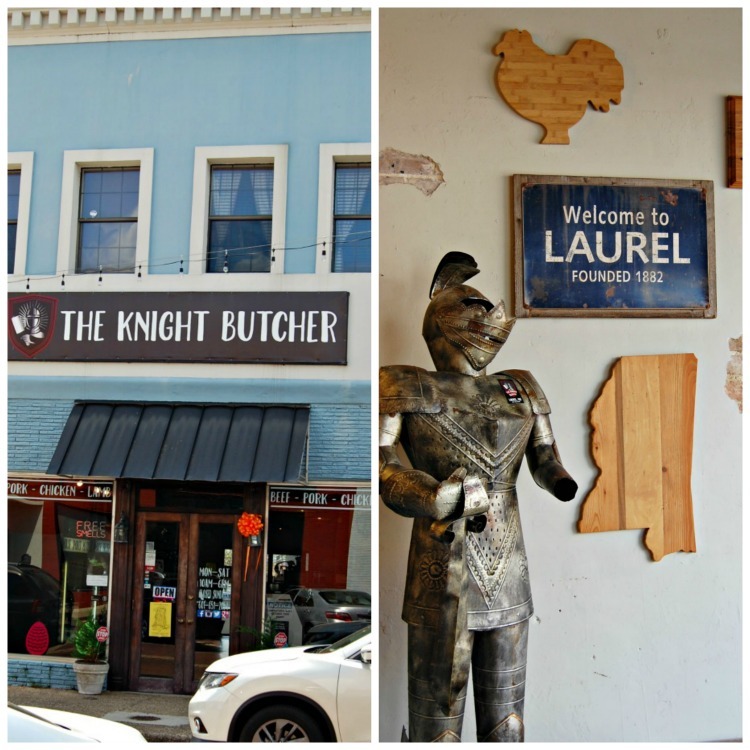 The Knight Butcher, Sweet Somethings, and Southern Antiques are just a few we visited which seem to be very popular with visitors and the home town residents. 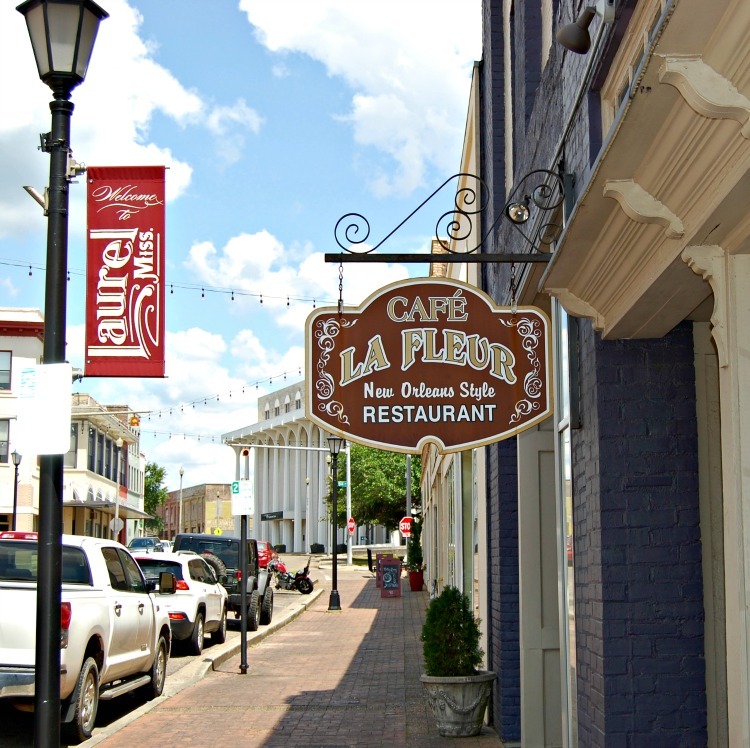 After several suggestions, we chose Cafe la Fleur as we wanted a more “sit down” meal and the choice was great for lunch. **UPDATE AGAIN – I just found out this has reopened after a fire left them closed for a while. It’s not a really big place and only open for lunch during the week. In talking to a few locals while standing in line, we were encouraged to wait as it would be worth it. 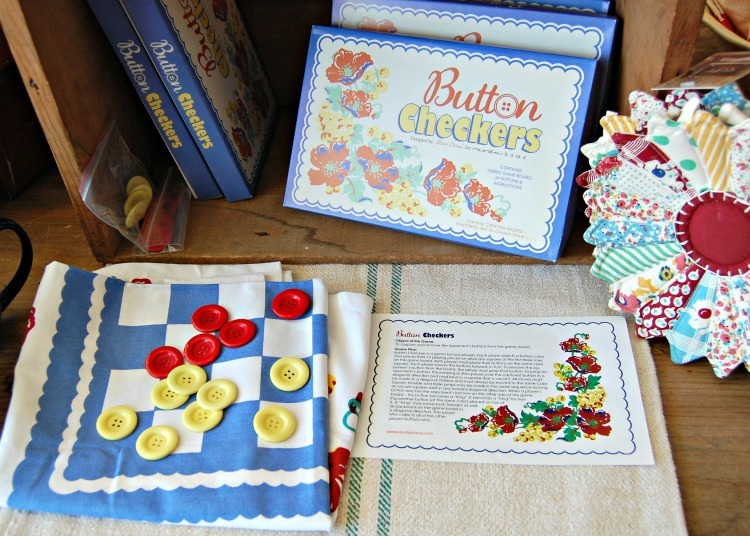 And there was cloth tablecloths. Little things mean a lot. We were there right during the lunch hour but the wait was only about 10 minutes. 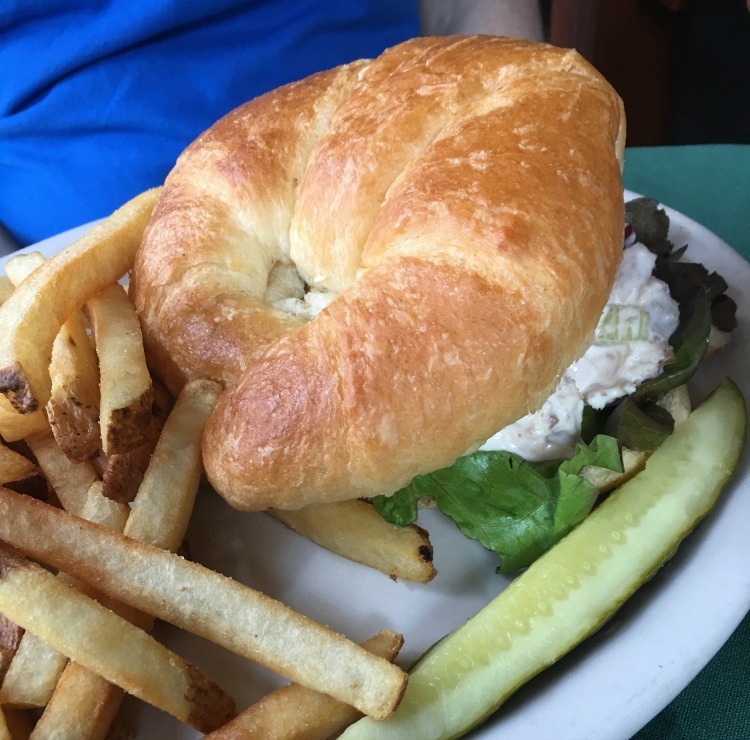 I chose a grilled shrimp salad and Don had chicken salad croissant. Both choices highly recommended. 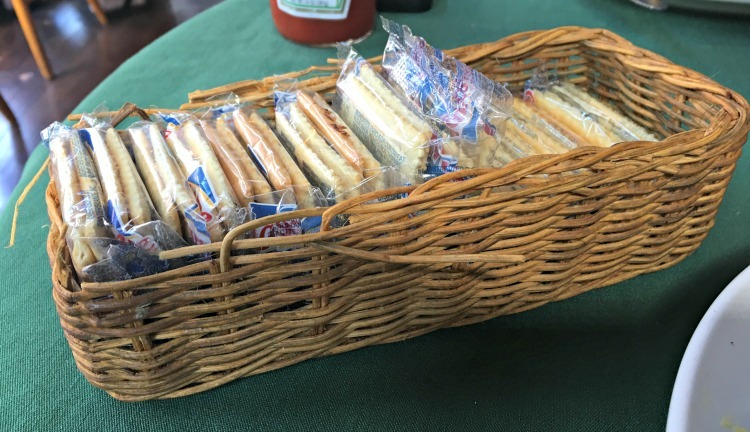 Something I don’t see often is a basket of crackers being served with salads. Having the captain’s wafers was a throwback for me. No dessert as we knew we had to hit up the bakery for a cupcake later. 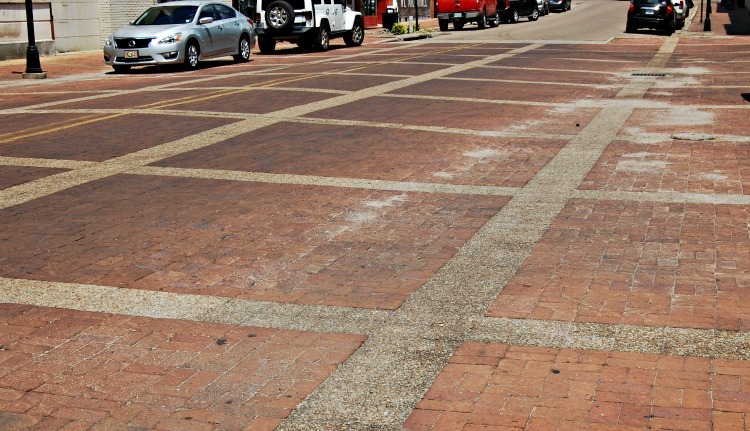 As you drive up and down some of the historic streets, many still are brick, you see the what a little progress can do. It seems like in any area, when a house or business is remodeled or even updated with just a little curb appeal, it can bring on more in the area to do the same. 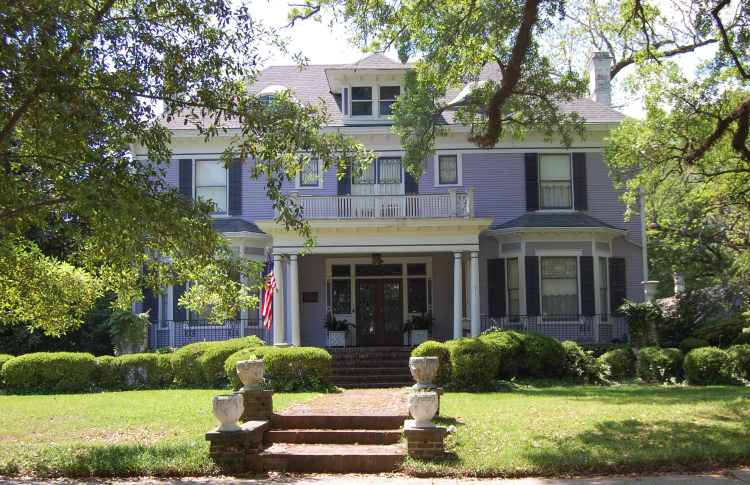 We saw a few houses which had been featured on the show, but you also see many lovely older homes along the tree lined streets. People know their neighbors and kids are playing on the sidewalks. 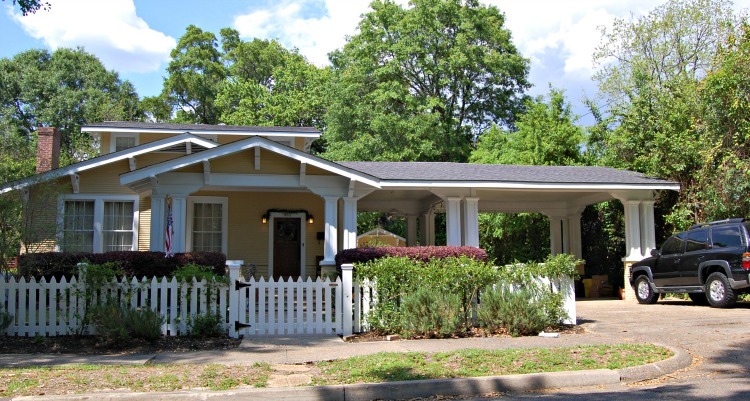 We drove around on 4th, 5th, 6th and 7th Avenues, along with Euclid Avenue as these had many historical looking homes and several which had been updated. Everything was green and just starting to see several blooms. We also made the circle around Homewood Drive which was Laurel’s first planned neighborhood and has beautiful historic estates most built in the early 20th century. It was a great day for walking around the downtown area. 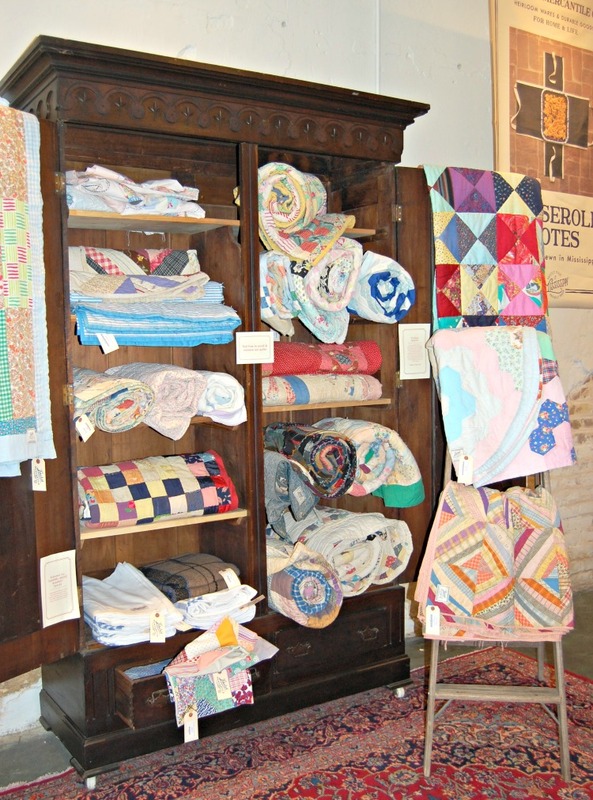 One of my favorite shops I found was Southern Antiques. We were welcomed into the shop and had a lovely conversation with everyone. Of course they were all familiar with Chattanooga and had visited. 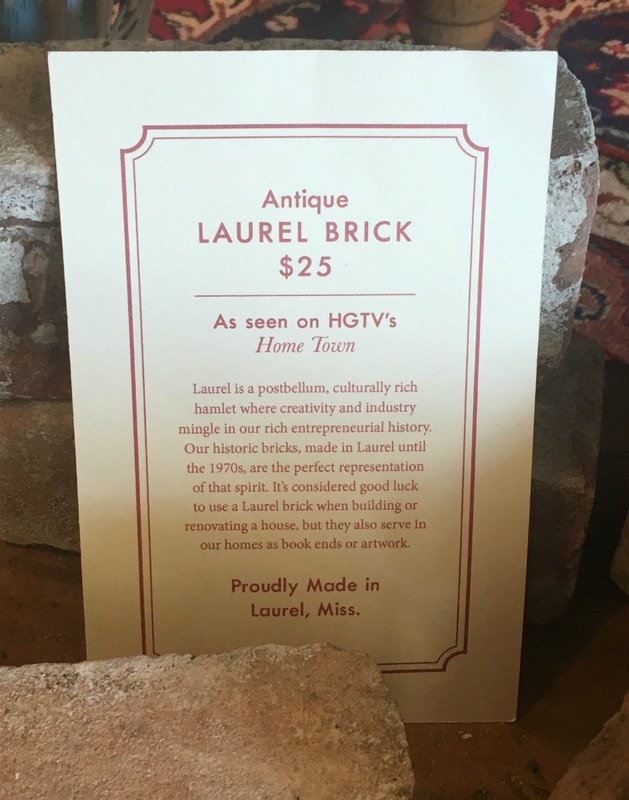 They told us how many items from their shop had been used on the show and how everyone seemed to love the show and the spotlight on Laurel. 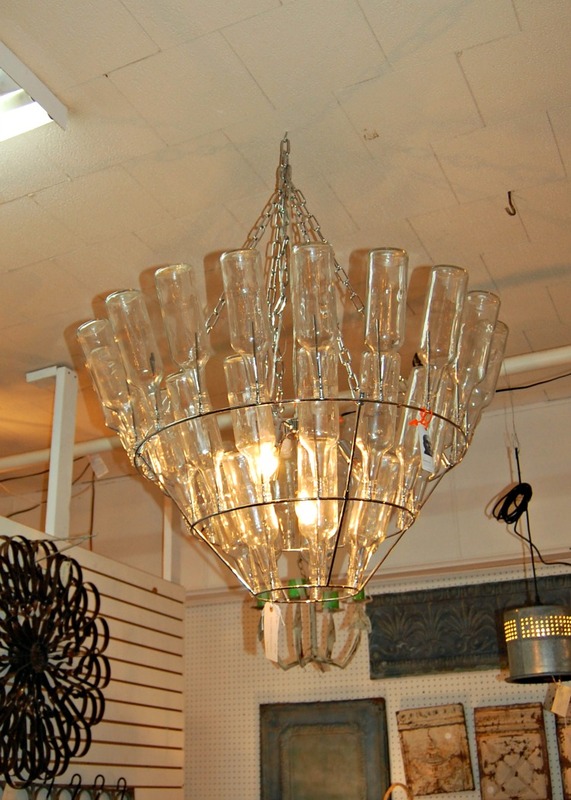 A couple of things which caught my eye was chandeliers. How I wish for a tall enough ceiling for one of these. And how did I miss these chargers? I didn’t notice how gorgeous they were until I looked at my pictures. Maybe I need to order these. 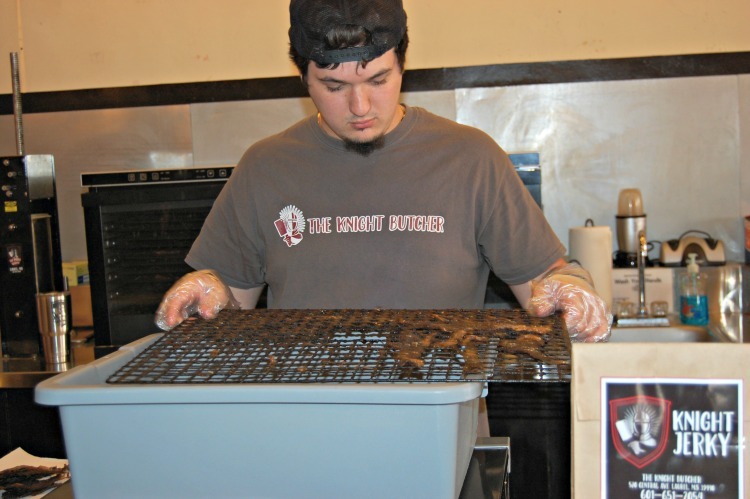 As a recommendation, The Knight Butcher makes their own jerky. This happens to be our son’s favorite snack, so what better treat from Laurel but homemade jerky. Oh my, what a wonderful smelling shop. They were actually finishing up a batch while we were there. And if you are in the area and need any fresh meat, make sure you go there. I sure wish I could have had one of the rib-eye steaks I spied grilled up. If I had been on my way home, instead of starting the trip, there would have been some in my cooler. We definitely needed more than just part of a day to visit all the lovely residential areas and recommended shops. Another trip will be planned. 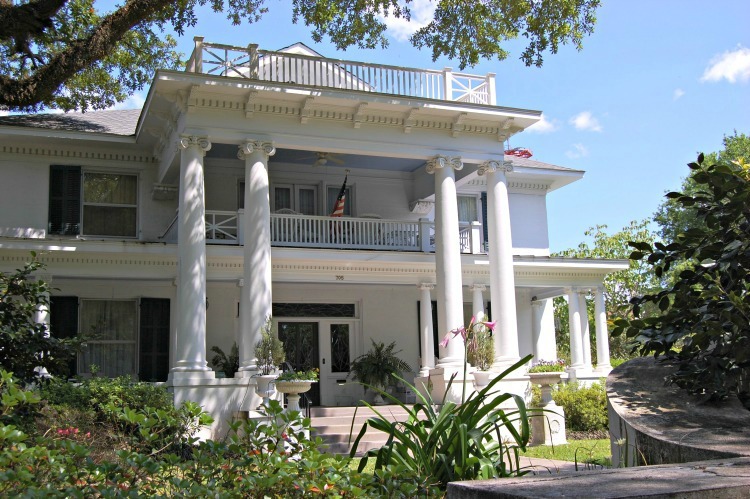 The Wisteria Bed & Breakfast looked like a charming place to stay on our next trip. 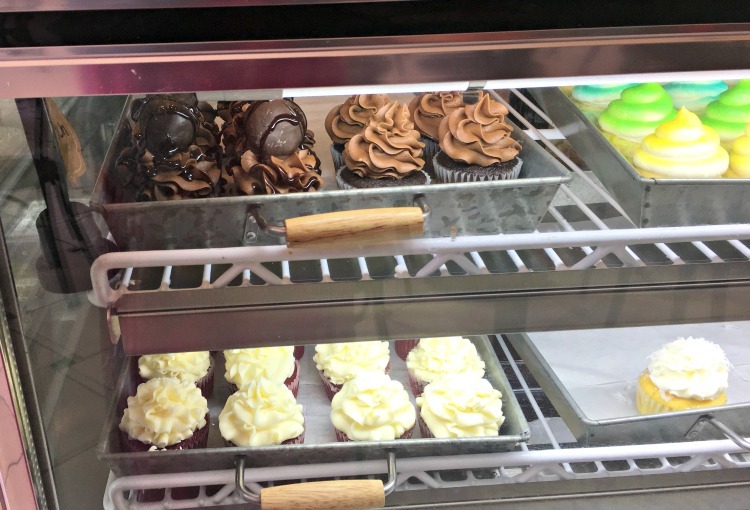 Our last stop before hitting the road was Sweet Somethings for a cupcake. They didn’t disappoint and was a sweet way to end our visit to Laurel. Our picks for the day were chocolate and coconut so we could share. The strawberry looked so good but it had cream cheese frosting instead of buttercream. 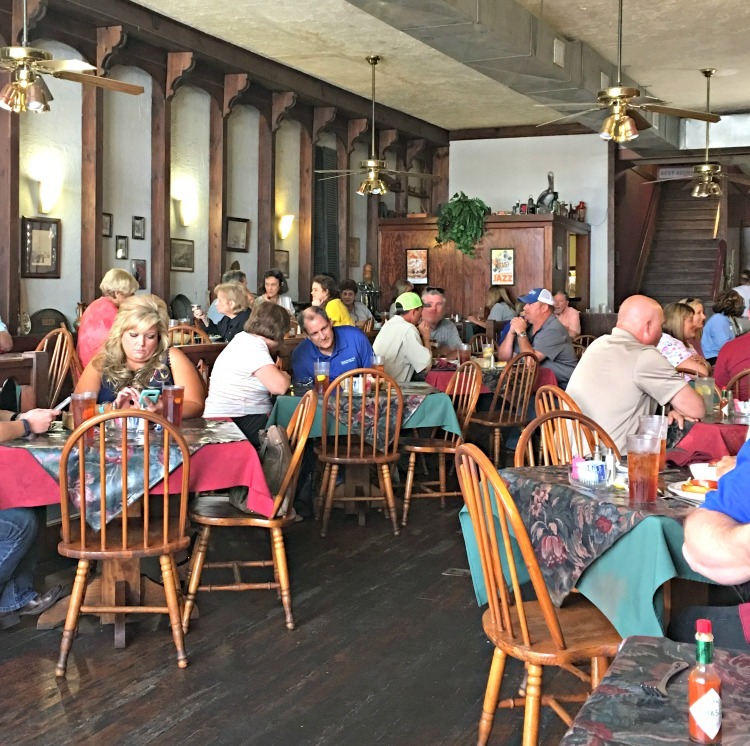 I hope as Home Town becomes more popular, you will see Laurel become a destination for many visitors as Waco and Pawhuska has become. And Laurel is on the Amtrack line, right accross from the Mercantile. Wouldn’t it be kind of nostaligic to ride a train into town? You can also keep up with Erin on her blog. Now onto Baton Rouge and Waco. Here’s some highlights of those trips. Baton Rouge. Waco. Ok, I want to visit now! Wonder how far it is from Nashville? Looks like a fun day. Thanks for inspiring me to visit! I think total is was about 5 1/2 from Chattanooga, so probably about the same for you. About 3 hours from Birmingham. I would love to go back and have more time. 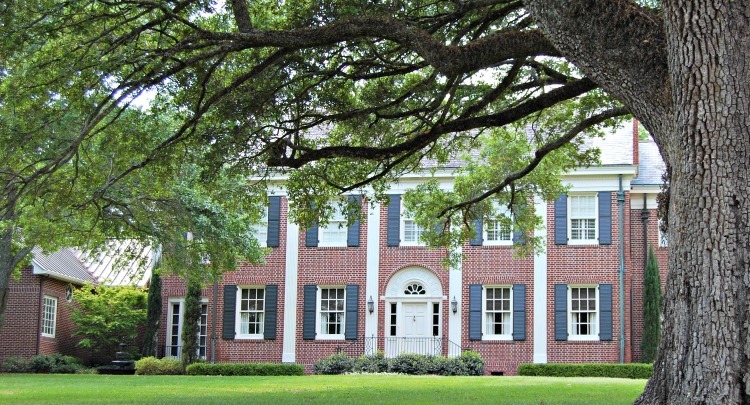 So much southern charm indeed! 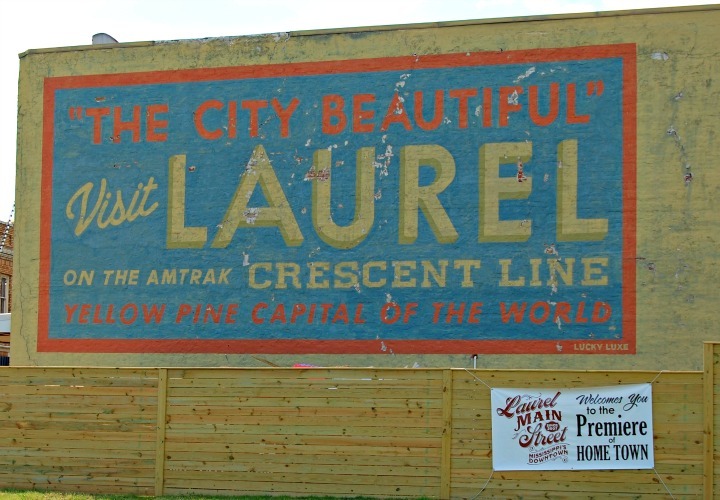 I’d love to travel to Laurel. I also come from a small town with little progress too he he. The restaurants look delightful. Thanks. Unless you’ve lived in the South or a small town, it’s hard to understand what it’s like. Really good post 🙂 Loved how detailed the photos are , and I got hungry from the cupcakes pic :p keep the good work going! Thanks. I want to make you want to visit where I did. And the cupcakes were good. I think it is a lovely post 🙂 Thanks to your photos I would love to visit this charming little city ? It is a cute southern town for all to visit. Great write up on Laurel. I’ve never been there, but after reading this article, I’d like to experience it for myself! 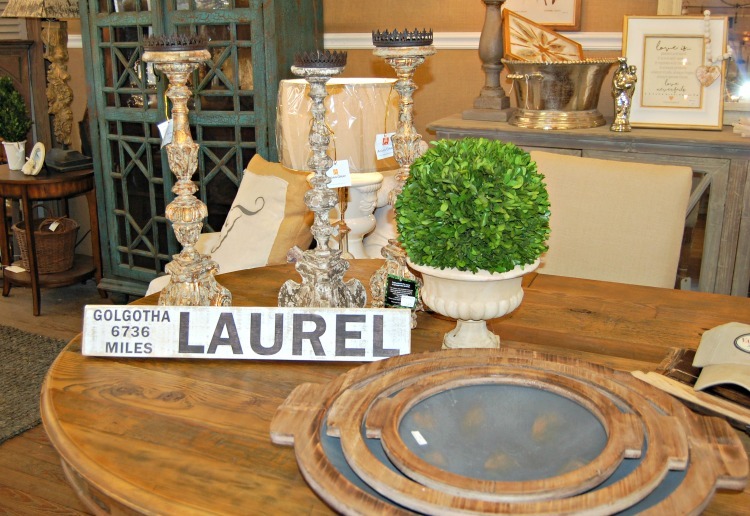 Thanks for the great write up about LAUREL . We own PEDDLERS JUNKTION within walking distance of downtown and we love for outoftown guests to come in and pin THEIR Hometown on our map . Maybe next trip . We will put that down for next time. Thanks.